Working Breed is a scintillating quintet that writes original and eclectic Art Rock full of surprises. Frontwoman and multi-instrumentalist Erika June Christina Laing leads the audience through a jazzy, bluesy, ska-fused, dance your pants off rock ‘n’ roll soundscape built as Michael Dugan rips searing guitar solos and groove master Jonah ‘Gingerale Jones’ Petrelli lays down the bass, meanwhile Chloe Wiecz adds depth and dimension on the keys and harmonies. All of this sits atop Jeremy Papay, who is hot off the circus circuit and brings theatrical elements and precision drumming. The result is an engaging performance unlike any other as the audience is continuously dazzled by the shifting nature of the music and playful incorporation of instruments often atypical to a rock group, such as trombone, trumpet, musical saw, and more. 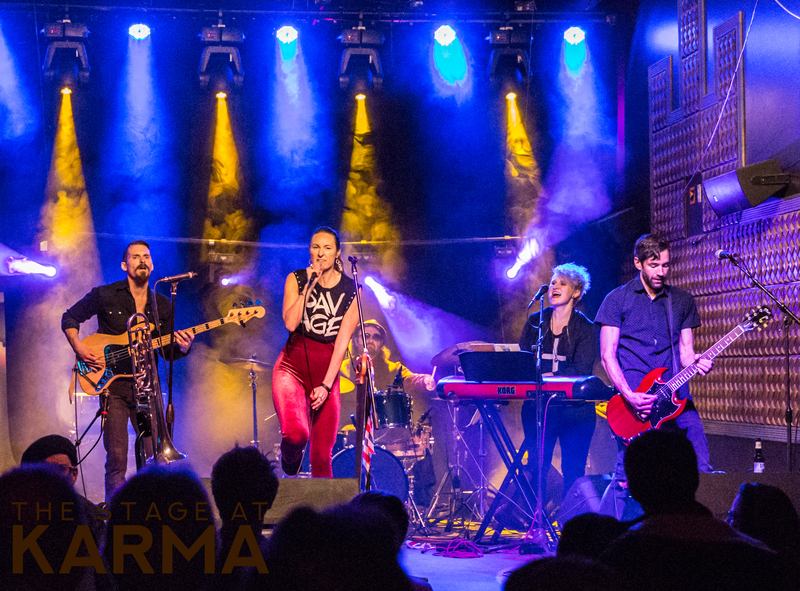 Since their inception in 2014 they’ve played hundreds of shows as they’ve headlined local festivals and opened for national touring acts such as Jefferson Starship, Wild Child, Jessica Hernandez and the Deltas, Low Cut Connie, and Start Making Sense (Talking Head Tribute). Their adventurous energy is infectious, and their performance an experience! Stream/Download the new singles My Chimera and Turtle Race HERE!!! Catch us at an Upcoming Show! SPECIAL NOTE! — Artwork in background is created by the talented Lennon Michalski of Lexington, Kentucky! Check out his amazing artwork here! Heard your group on a rebroadcast (from back in September) of SLB’s(Saturday Light Brigade) archives out of Pittsburgh, PA over their online broadcast… FANTASTIC! Look forward to hearing more of your music in future… the vocals and instrumentation blends and harmonies I could listen to constantly. Please consider traveling up north to play in several venues. BTW – my family now lives near Portland, ME moving up from Pittsburgh. Saw the South Park show, loved it! When and where are you playing at the Italian Festival?